No heating system in Murfreesboro is perfect, and eventually, you’ll have to find a heating replacement when your furnace starts to wear out. If a gas furnace is your heating system of choice, you’ll still have to figure out which model is right for your house or place of business. Gas furnaces come in different styles, including standard, two-stage, and modulating. If you’re not sure which kind of heating system will serve you best, the cooling and heating experts would be happy to help you decide. Keep reading for help determining what type of gas furnace you should choose. 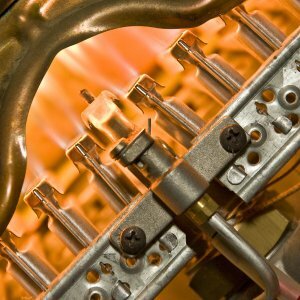 A single-stage, or standard heating system offers no control over the amount of gas that flows into the furnace. It uses a physical gas valve to release gas at a high rate, and it’s not quite as efficient as many of its alternatives. This is probably not the right choice for people who want to save money on their energy bills, but it can be a useful heating system for people who live in mild climates. If you do want to save on your energy bills and don’t live in a mild climate, a standard gas furnace probably won’t be your ideal choice. Unlike a standard single-stage heating system, a two-stage furnace can be operated at either half power or full power. The furnace will start at half power, which can be enough to get the job done on winter days that aren’t too cold. It communicates with the thermostat to tell when to kick into full power. When it runs at half power, it’ll run the heating cycle for a longer duration, meaning more heat will circulate around your house. This kind of heating system is a bit more efficient than a standard furnace. A modulating gas furnace will be more efficient than both of the aforementioned options. It will constantly check the temperature and decide how much gas is necessary for the home to be properly heated. Modulating systems keep your home comfortable and your energy bills reasonable, and they’re a great choice for cold climates. When you mix water and metal, sometimes you’re going to get rust. It’s a good idea to keep an eye on your heating system in Murfreesboro to make sure rust doesn’t build up. 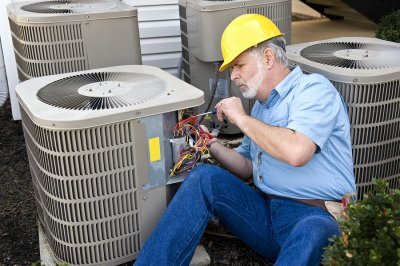 Regular maintenance and inspections make it easier to notice problems with your furnace before they get too serious. Rust and scale buildup is common because of the combination of water vapor and natural gas combustion. 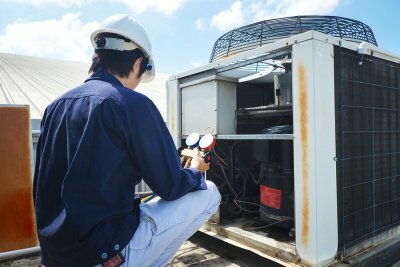 You can keep your furnace running and your energy bills down by maintaining your heating system and dealing with rust quickly. Continue reading for more on why rust is bad for your furnace. Natural gas combusts inside your furnace in order to provide your home with heat, and the mixture of this burning with water vapor will lead to rust. When the scale of the rust falls and ends up on the burners, gas won’t flow the right way. This means your heating system will suffer a dramatic loss of efficiency, and your energy bills will go up by a wide margin. It will also continue to collect moisture and collect more and more rust, which only makes the problem worse. Set up a maintenance plan with your heating experts to avoid rust problems.